Computer science is a fast-moving field that brings together disciplines including mathematics, engineering, the natural sciences, psychology and linguistics. Our course provides you with skills highly prized in industry and for research. Cambridge was a pioneer of computer science and continues to lead its development. There are more than 1,000 specialist computing and advanced technology companies and commercial laboratories in the area (known as ‘Silicon Fen'). A number of local firms and start-ups support our teaching and employ our graduates. Our students benefit from the Deparment’s cutting-edge research and extensive facilities. The purpose-built Department of Computer Science and Technology is packed with the latest technology, advanced lecture theatres, dedicated practical rooms, a well-stocked library, and even a café. Group projects during the course, where small teams of students deliver a product to an external client, ensure relevant industrial experience. Projects often lead to commercialisation, licensing or employment. 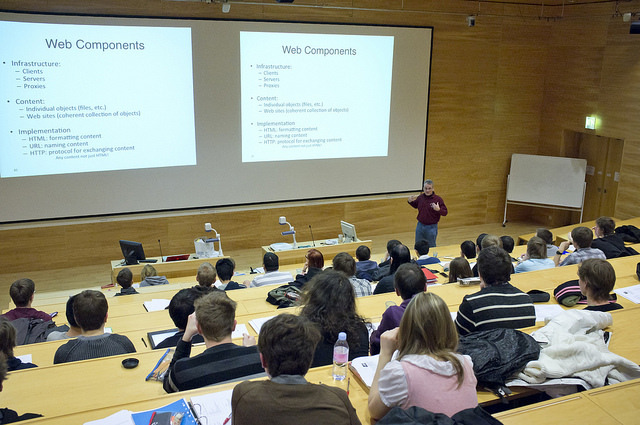 The syllabus booklet – containing descriptions of lecture courses and recommended textbooks – can be downloaded from the Computer Laboratory website and contact the Faculty for advice and details about costs. It's possible to change from Computer Science to another course, such as Natural Sciences (although options available to you will be limited), at the end of the first year. Following their second year, a small number of Computer Science students opt to do Part II in another subject, notably Management Studies. Our graduates’ knowledge and skills embody principles which will outlast today’s technology, making them highly sought after by industry and commerce alike. About half of our students go on to work in the computer industry, while a fifth pursue further study and careers in teaching and research. Many graduates have founded companies or gained employment in software, hardware, the games industry, finance, communications and commerce. To get an idea of what’s currently on offer to our graduates, visit: www.cst.cam.ac.uk/supporters-club. For further Computer Science undergraduate admissions information visit: www.cl.cam.ac.uk/admissions/undergraduate. Teaching is provided through lectures, practical classes and supervisions. In Year 1, you can typically expect 20 hours of teaching every week, including up to 12 lectures and practical classes. Assessment is by three-hour examinations taken in the final term each year. In Year 3 you submit a dissertation and take two units which may be assessed in a variety of ways. Practical work is undertaken and assessed in all years of the degree programme. Please note that successful applicants are required to do some preparatory reading and complete a pre-arrival online course before the start of the first term. Students will be sent details after their place is confirmed. You take four papers, including three compulsory Computer Science papers - covering topics such as foundations of computer science (taught in OCaml), Java and object-oriented programming, operating systems, and digital electronics, graphics, interaction design - and one Mathematics paper. You also undertake a group project which reflects current industrial practice. You choose from a large selection of topics which allows you to concentrate on an area of interest to you, such as computer architecture, applications (including bioinformatics and natural language processing) or theory. New topics inspired by current research interests include computer music, data science and robotics. All students also work on a substantial project demonstrating their computer science skills, writing a 12,000 word dissertation on it. Projects are often connected with current Cambridge research and many utilise cutting-edge technology. The fourth year is designed for students considering a career in academic or industrial research. You explore issues at the very forefront of computer science and undertake a substantial research project. Progression to Part III is dependent on Part II examination achievement. Successful completion of Part III leads to the MEng qualification, as well as the BA degree attained at the end of Part II. For further information about studying Computer Science at the University of Cambridge see the Faculty of Computer Science and Technology website. See Computer Science: Subject Requirements and Typical Offer by College for College-specific requirements/preferences. All undergraduate admissions decisions are the responsibility of the Cambridge Colleges, so please check College websites for further details. ​Assessment arrangements for Computer Science are currently under review. Information about the assessment format will be published here as soon as it is available. For further information about studying Computer Science at the University of Cambridge see the Department of Computer Science and Technology website. Faculty of Computer Science and Technology - Explore Computer Science in more detail on the faculty website. Computer Science FAQ - Frequently Asked Questions about the Computer Science course. Preparing to study Computer Science - Guidance on preparatory reading for applicants interested in Computer Science, as well as guidance on developing practical experience. Computer Science Admissions Test (CSAT) - Find out more about the CSAT and how it can help you, including pointers, questions and preparatory material. Course Guide - A detailed guide to the Computer Science degree. First Year Options - We believe it’s important not to narrow your studies too fast and the first year of our course allows you to choose what you study in addition to Computer Science.